Magnetism Part II Field and Flux. 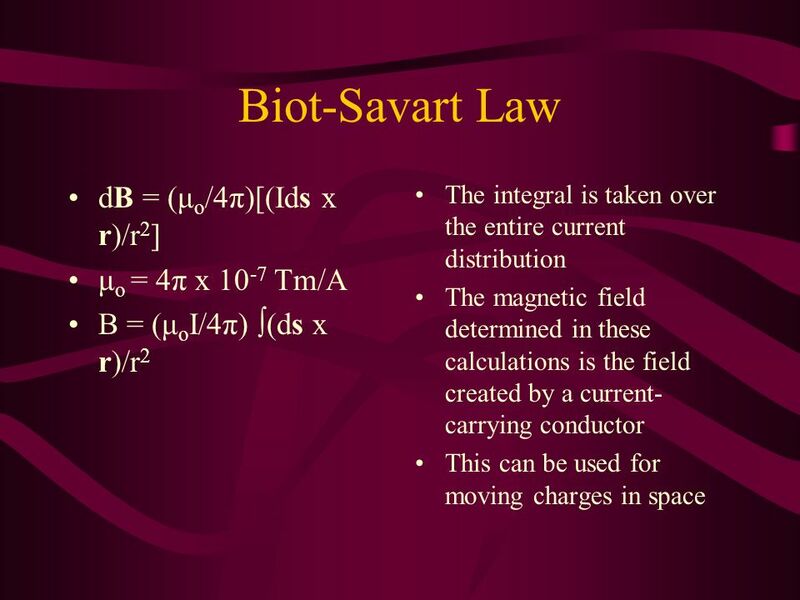 Origins of Magnetic Fields Using Biot-Savart Law to calculate the magnetic field produced at some point in space by. 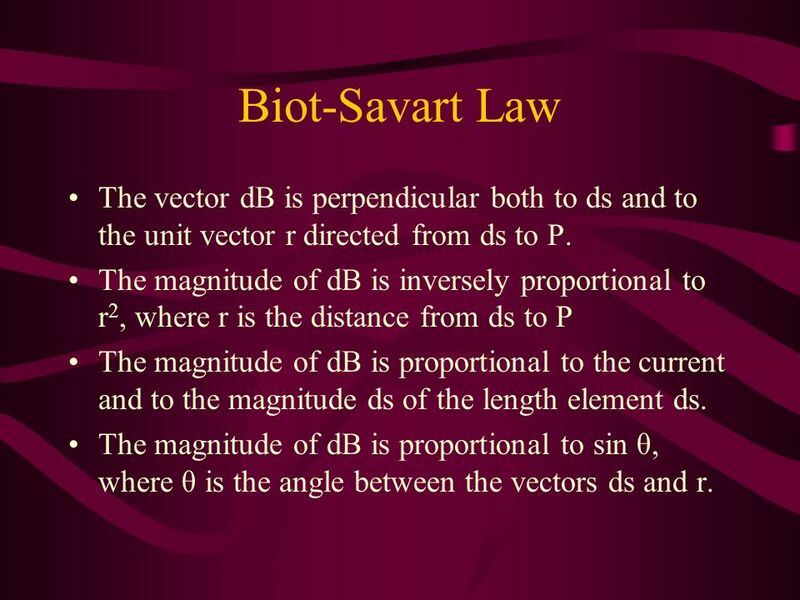 3 Biot-Savart Law The vector dB is perpendicular both to ds and to the unit vector r directed from ds to P. The magnitude of dB is inversely proportional to r 2, where r is the distance from ds to P The magnitude of dB is proportional to the current and to the magnitude ds of the length element ds. 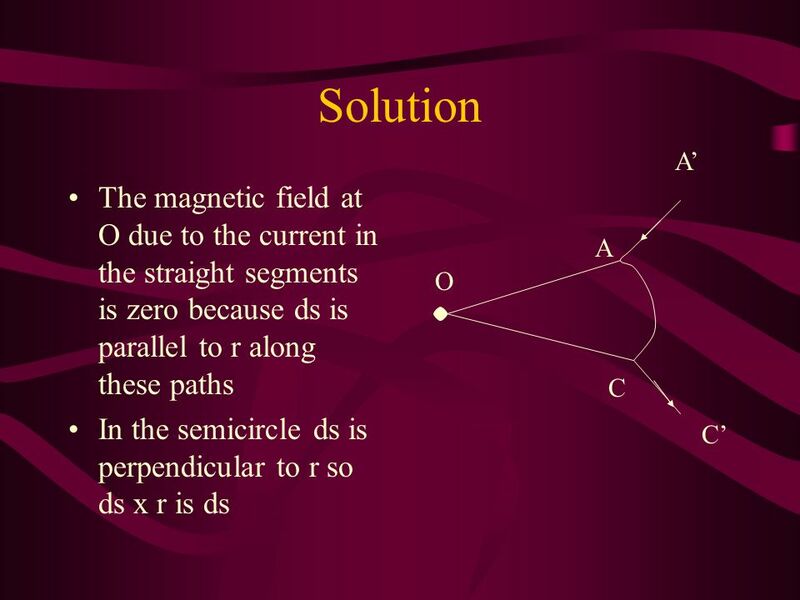 The magnitude of dB is proportional to sin θ, where θ is the angle between the vectors ds and r.
8 Problem Calculate the magnetic field at point O for the current-carrying wire segment shown. 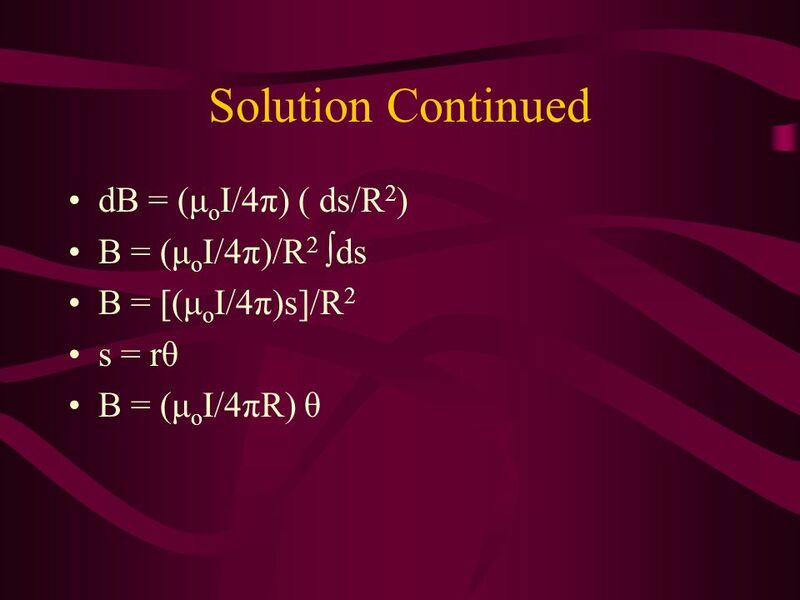 The wire consists of two straight portions and a circular arc of radius R, which subtends and angle θ. The arrow heads on the wire indicate the direction of the current. 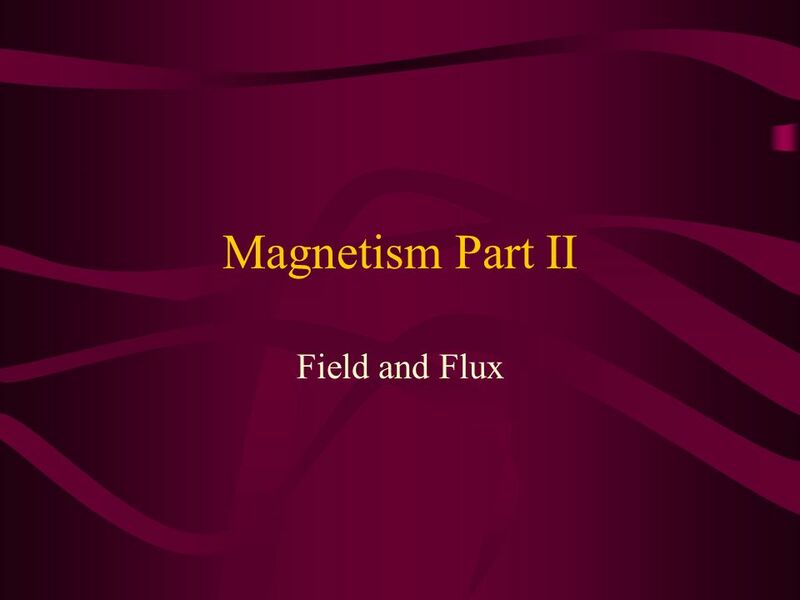 Download ppt "Magnetism Part II Field and Flux. 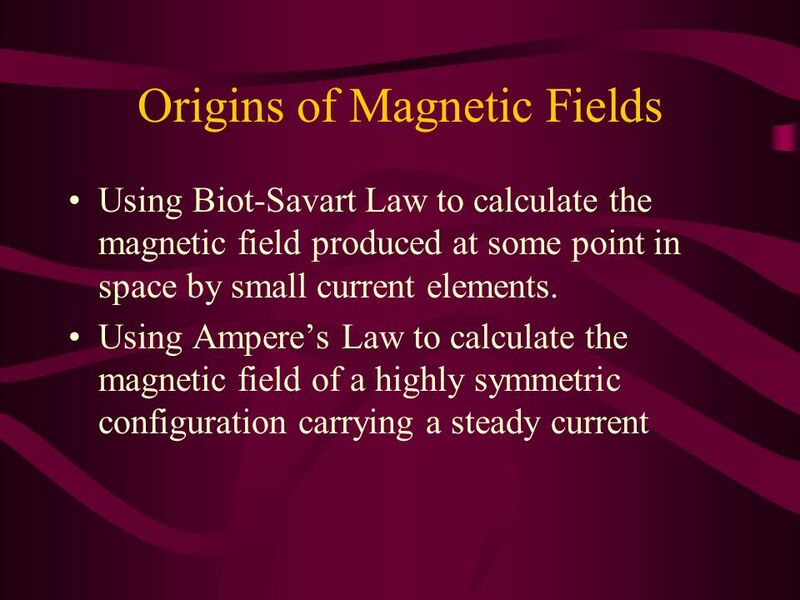 Origins of Magnetic Fields Using Biot-Savart Law to calculate the magnetic field produced at some point in space by." 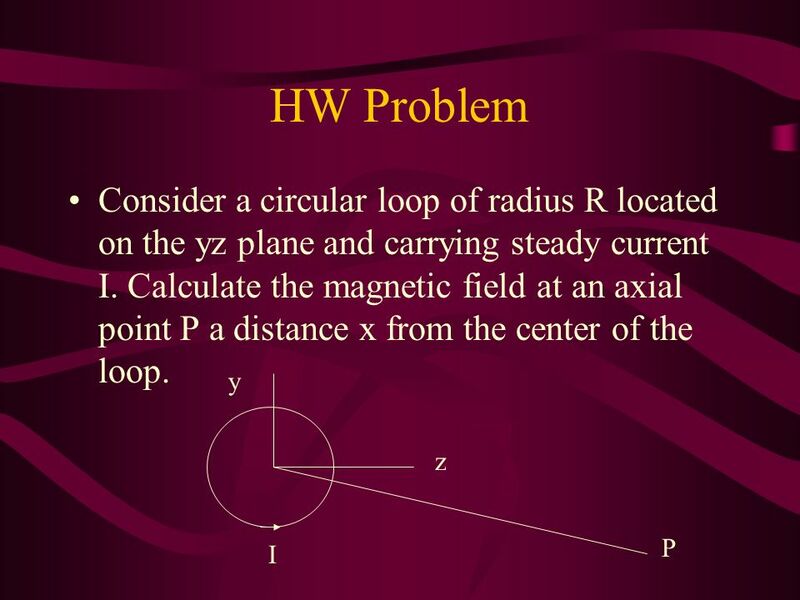 Example: A single square loop of wire is placed in the plane of a magnetic field with a strength of 200 mT directed to the right. The loop has sides 10. 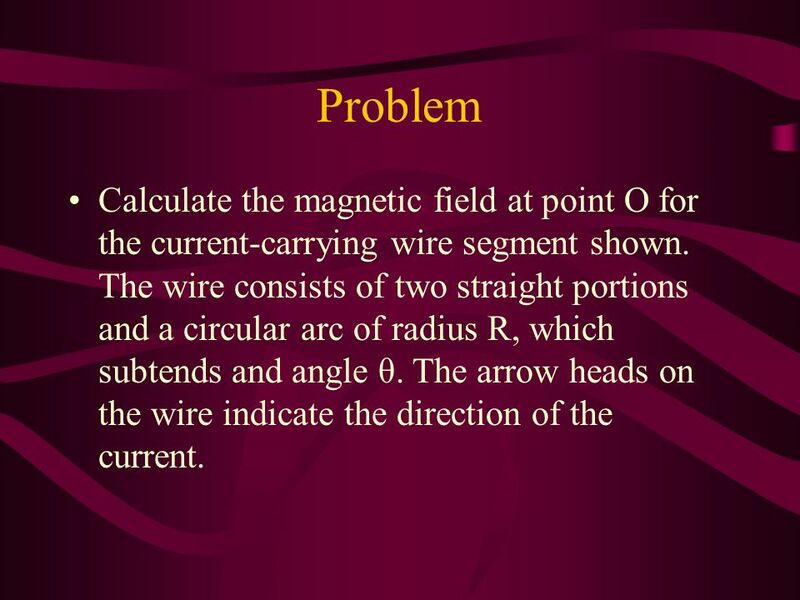 Example: What is the magnetic field at the center of a circular arc of wire? 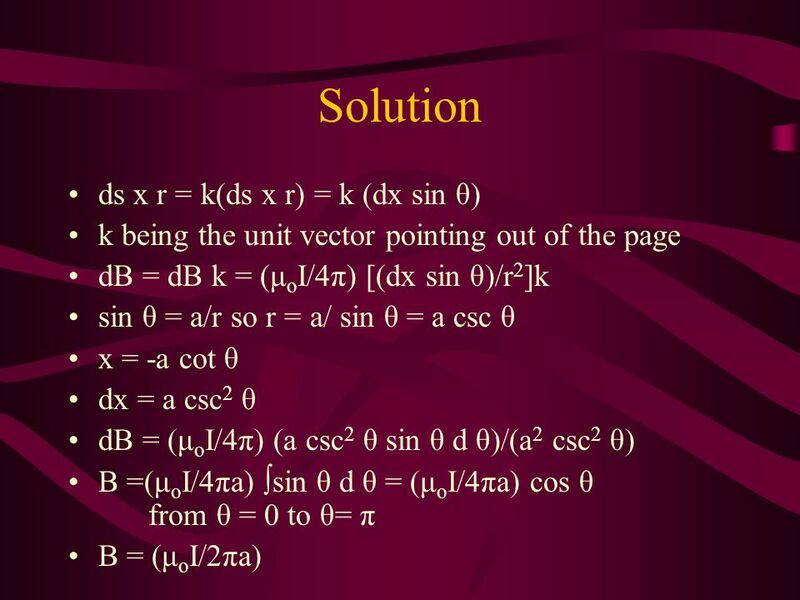 1 This will work for any current carrying arc, where  (in radians) is the. 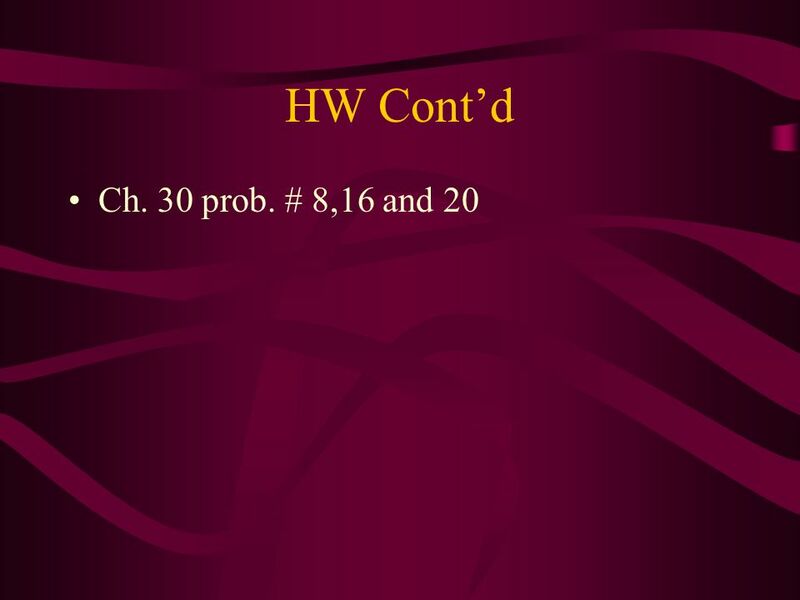 Phy 213: General Physics III Chapter 29: Magnetic Fields to Currents Lecture Notes. Chapter 26 Sources of Magnetic Field. 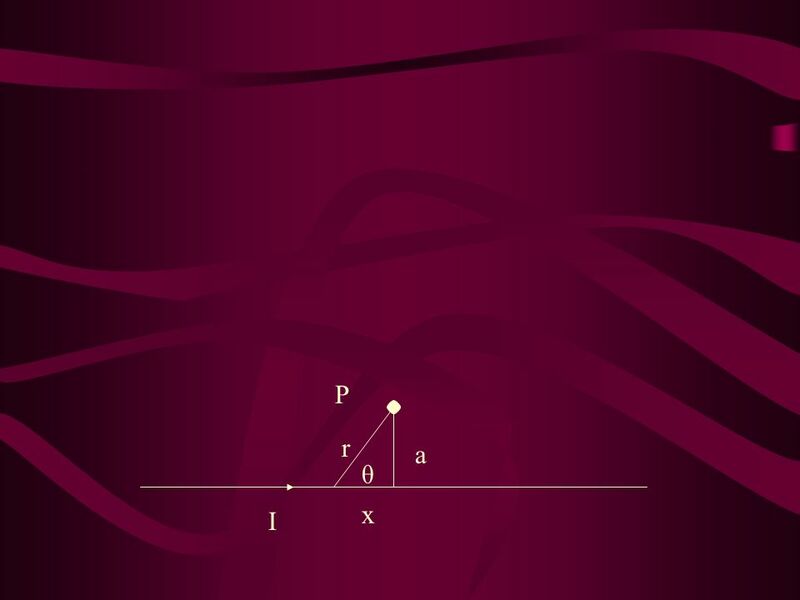 Biot-Savart Law (P 614 ) 2 Magnetic equivalent to C’s law by Biot & Savart . 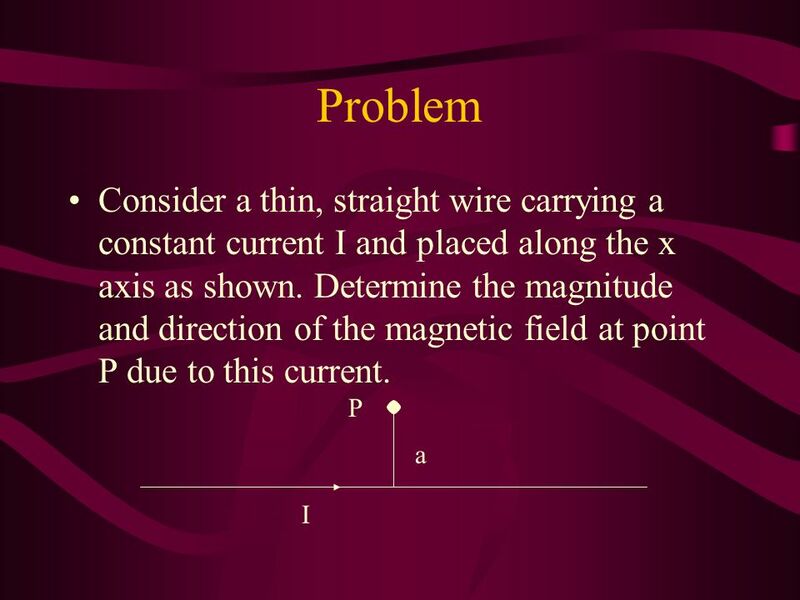 P. P Magnetic field due to an infinitesimal.